This entry was posted in comics, Day in Sentence. Bookmark the permalink. How fun! 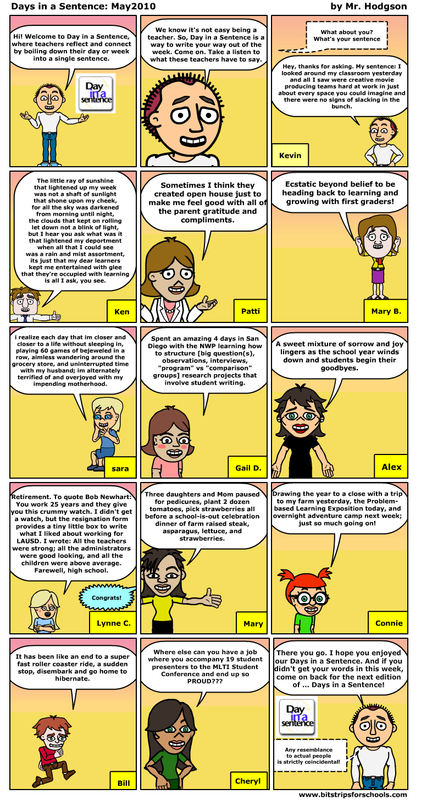 Love the technique and will explore bitstrips in my waning classroom days. Kids will love it.